It was an absolute thrill and privilege to interview the 2018 Australian of the Year, quantum physicist Professor Michelle Simmons. Here’s my story and the video I co-produced with CBA TV. There’s a great thrill in defying expectations and carving out your own path, says the world-renowned quantum physicist and 2018 Australian of the Year. And when it comes to choosing a career, she adds, challenging yourself is vital. 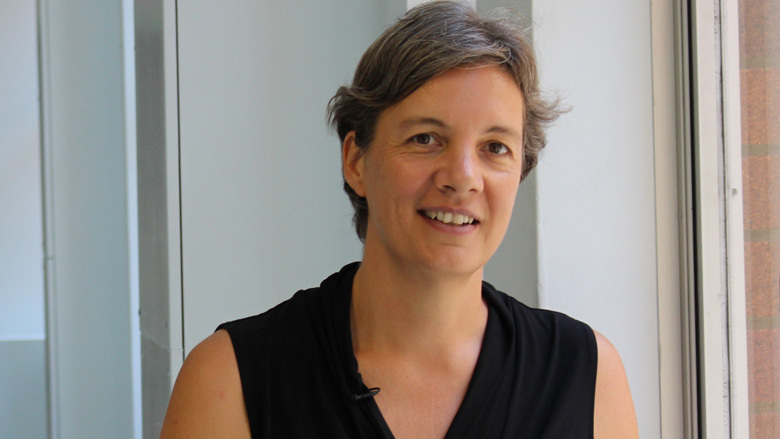 Professor Michelle Simmons vividly remembers her first encounter with a computer. It was her older brother Gary’s pride and joy: a ZX81. A fragile machine of the early eighties, so much as opening a door nearby would rattle its cables and make it crash. For that reason, Michelle was “banned” from going anywhere near it. Eventually, of course, Michelle would make it her world. The 2018 Australian of the Year is the Director of the Centre for Quantum Computation and Communication Technology (CQC2T) at the University of New South Wales (UNSW) in Sydney. 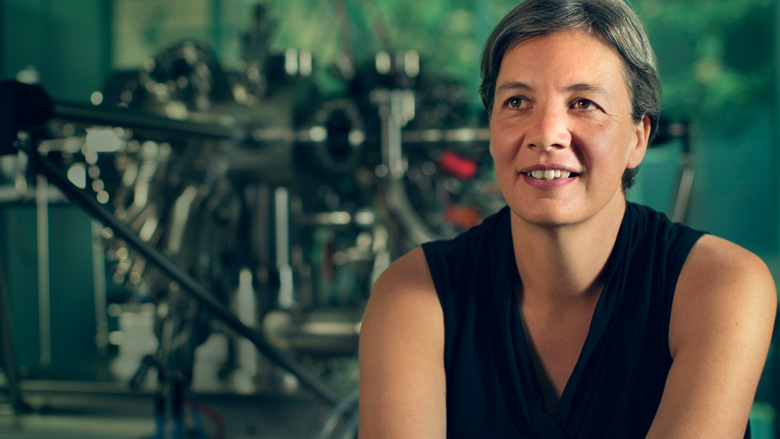 There, she and her team are undertaking world-leading research in the field of quantum computing, building electronic devices at the atomic scale. “Instead of performing calculations one after the other like a conventional computer, a quantum computer works in parallel, looking at all the possible outcomes at the same time,” Michelle explained in her 2017 Australia Day address. As a result, the quantum computer will process in minutes what would take a conventional computer thousands of years. That speed brings endless possibilities, with revolutions in weather forecasting, air travel, artificial intelligence, and medical treatments among them. For these reasons, the worldwide push to build the first quantum computer has been dubbed the “space race of the computing era”. And Michelle stands at the forefront. Fortunately, Michelle has a long track record of conquering hard problems. Michelle first noticed her penchant for challenges at age eight. For a couple of years, she’d been watching her father and brother play chess. Wanting a turn, she asked her father if she could play. Twenty-five minutes later, to her father’s shock, Michelle checkmated him. There’s a spark of defiance about Michelle. But it’s an exuberant kind – a mischievous delight in achieving the unexpected. “A lot of people think that being a woman in a man’s world is a negative thing,” says Michelle of her male-dominated field. “It’s actually been incredibly beneficial because people haven’t expected much of me so I’ve been able to just get on with it. The “what else” in that equation includes being one of only two students at her “rough” south-east London high school to pass their final exams, completing a double degree in physics and chemistry and a PhD in physics, taking up a postdoctoral position at Cambridge, and earning the opportunity in 1999 to move to Australia and become a founding member of UNSW’s pioneering CQC2T team. And there she stayed, becoming an Australian citizen in 2007. Among other achievements, Michelle and her team at UNSW built the world’s first single-atom transistor and the narrowest-ever conducting wires, at just four atoms wide, in 2012. While the lack of women in physics didn’t dampen Michelle’s trajectory, the Australian Research Council Laureate Fellow believes gender and cultural diversity leads to better outcomes. Despite winning the CSIRO Eureka Prize for Leadership in Science in 2015, Michelle took a while to see herself as a leader at all. Then she realised that very belief had been holding her back. And it was up to her to change it. That need to “get on with it” harks back to another great woman of science. “Life is not easy for any of us. But what of that? We must have perseverance and above all confidence in ourselves,” said twice Nobel Prize-winner Marie Curie who, like Michelle, did degrees in physics and chemistry. Another staunch advocate for understanding the world and solving its toughest problems, Marie also said that “progress was neither swift nor easy”. For Michelle, making progress that will be useful for people, however hard it is to do, brings the greatest rewards. For young people considering their futures, Michelle suggests taking a broad view, looking out for all the different skill sets they can develop. “Pick up all the skills that you know that you like and enjoy, and that will help define the career path that you take,” she says. 4. No mentor? No worries! Story and video originally appeared on CBA Newsroom, 7 March 2018.